Adore the brilliantly formal appearance of this charming Jordan button-tufted wing bed in your décor. The velvety dark finish on the upholstery of this bed provides a neutral balance and character that is ideal for building around, with a Nickel nailhead and Espresso finish on the base which enhances wonderfully. 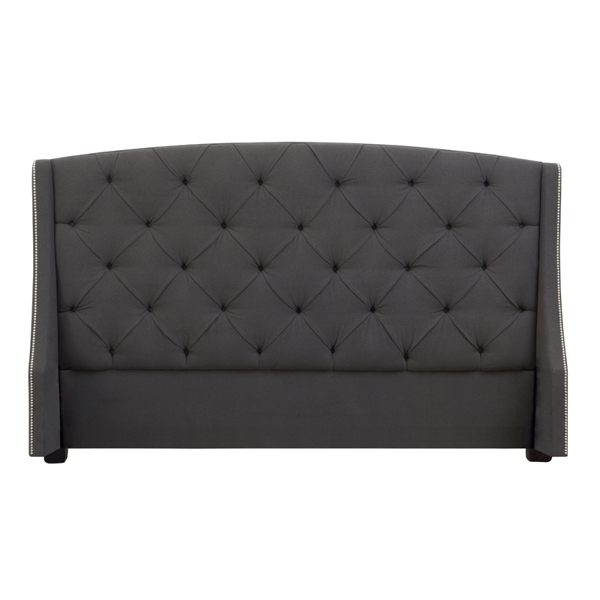 The button-tufted headboard is elegant and distinct, and improves the look and feel of the design.